A Jewish woman went up to the Temple Mount today and she did something unthinkable. She broke the law…man’s law, Bibi’s law, not God’s law. 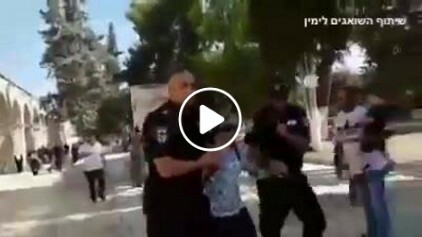 And in return, two policemen broke the law…not Bibi’s law, not man’s law, but God’s law (video at bottom of the page). I’ve been to India; I’ve been to England and Germany and Belgium and Italy and Greece…and more…and in EVERY place.